Feeling out of control and agitated. With our overpacked schedules and lack of parental support, it is difficult to carve out time for ourselves to recharge, and it is easy to find ourselves getting overwhelmed and angry at certain situations. You can learn how to control your anger with your child by learning how to practise some mindfulness techniques, which will help to feel better about yourself and help you deal with your parenting anger in a much less reactive way. This post discusses seven mindful ways to be a less angry parent and touches upon some anger management tips for parents to help you parent mindfully. It’s always a pleasure to find like-minded people to share these pages with. Jennifer Mazzoni is a respected writer, meditation coach, and authority in mindfulness techniques. When she accepted my invitation to share her knowledge, information and wisdom with my readers, I was thrilled and I know you will be too. In this guest post, Jennifer discusses seven ways in which mindfulness can help you become a less angry parent. So without any further ado here’s Jennifer! Parents yell at their children…sometimes on a daily basis. Parents may yell for good reason, such as when your children are being unsafe, but most parents yell for various reasons: we react out of instinct or we feel overwhelmed and stressed. We may feel awful after we’ve yelled, not wanting to be that angry parent we never thought we’d become. Mindfulness is not a cure-all for the stress and wide range of emotions that we experience as parents. But there are many opportunities for us to practice mindfulness each day to help us find joy and contentment in everyday life. When we pause and take a breath while our child is throwing a tantrum or misbehaving terribly (as challenging as this may seem), we can become mindful of the situation and form a response instead of relying on a gut reaction. Our responses do not need to be perfect or right every time, all parents make mistakes and handle things poorly, but pausing and taking a breath before responding to a stressful situation with our children is better for everyone involved. Being mindful reduces the parent’s stress level: deep breathing works wonders for activating the prefrontal cortex, reducing cortisol, and activating the parasympathetic nervous system- the one that calms down the flight or flight reaction. (source) Our children will appreciate not being yelled at or scolded constantly on a daily basis, as well. Washing dishes, doing laundry, dusting, and other household chores can become daunting for parents trying to juggle work, caring for children, hobbies, etc. When we feel overwhelmed it can cause stress, which can lead to becoming easily irritated and snapping at our children. It’s all about mindset when it comes to cleaning. When we call something a chore it may send a message to us for the chore be perceived as a drudgery, something we must do that we won’t enjoy. Mindfulness helps us become more aware of our sensory experiences as we complete a household task, such as washing dishes. First, we can use several of our senses: feeling the warmth of the water, watching the soap bubbles pop and expand, smelling the dish soap as it mixes with the warm water, and admiring the shine and sparkle of a clean dish. We can also take mindful cleaning a step further by thinking about the purpose of washing the dishes, laundry, dusting. We are providing a clean and healthy environment for our families when we complete these household tasks. And perhaps we will not be thanked by anyone for this, it can be helpful to express self-gratitude and acknowledge our actions to care for others. Mindfulness can help the angry parent to take the first step towards in acknowledging parental anger issues, and towards seeking help to be a less angry parent. When is the last time you tasted what you were eating? Meals can become another part of the day that we try to “get through” as we rush through our routine. If we want to practice mindfulness, we can use mealtime as an opportunity to observe and be aware of what we are eating (but not necessarily from a health or dieting perspective). Choose the meal or snack of your choice, and take the time to create a beautiful display on your plate with your food. You don’t have to be all Gordon Ramsay about it but have fun “plating” your meal or snack. As you arrange the items, notice the texture of the food with your fingers, and take a moment to smell what you will be eating. Smelling our food helps enhance the taste. Finally, chew slowly. Take your time eating, and actually taste your food. Observe the textures of the food in your mouth, noting any crunchiness or smoothness. If you want to take this a step further, try a mindful snack with your children. They’ll enjoy the opportunity to “play” with their food by creating a design on their plate. Another way to be a less angry parent is to adopt an attitude of gratitude. Instead of focusing on what we want or what we don’t have, we shift our attention to all we do have. One way to practice gratitude is to keep a journal. At the end of each day, perhaps before you brush your teeth, write down one or two things for which you are thankful. Some days it may be a challenge to think of one, and other days it may be hard to narrow it down. But the point of the exercise is we always have something to be thankful for, which can help us experience greater happiness and contentment when parenting. Despite the many benefits of meditation and its positive impact on the brain, it can be challenging for parents to find time to actually sit down and meditate. My rule of thumb for taking time to meditate is if you have twenty minutes to scroll through social media (or whatever you enjoy doing on your phone), you can carve out five of those minutes to sit and focus on your breath. Meditation can be practised first thing in the morning (before the children are awake), during part of your lunch break at work (if you have privacy and enough time to do so), or in the evening after the children have gone to bed. Taking a few minutes out of your day to focus on the feeling of your breath as you inhale and exhale can be a refreshing way to start your day or a reset button for the middle of a stressful (or ordinary) day. Meditation with eyes closed can also provide a sensory break from the visual stimuli we are bombarded with in our daily lives. Social media is fun and engaging, and it’s a wonderful way to make new friends and interact with people from all over the world. But, sometimes there can be too much of a good thing, and there are parts of social media that are pretty toxic (for example, the comments section of most news articles – even ones that are about a positive topic). Social media may connect us to a virtual world but it often disconnects us from the people who are directly in front of us. It’s not easy to disconnect yourself from social media. It can be quite enjoyable to have people comment on and like what we post, but it can take away from quality time with our children. There are so many daily activities that can go from ordinary to extraordinary when we do them mindfully. A nature walk can become a scavenger hunt using many of the senses. You can turn on music for your children and have an impromptu dance party. Join in when your children are colouring. There are so many ways we can pause, be aware, enjoy the present moment and appreciate being a less angry parent. Thank you, Jennifer, for such a wonderful insight into mindful parenting and how to be less angry parents. Being more mindful with our kids is something we could all benefit from, and your tips on how to be less angry when parenting has given us all something to work on, throughout our own parenting journey. Can meditation teach me how to be less angry? Mindfulness and meditation teach us how to be present and pause before we react as Jennifer mentioned above, creating a pause before we react gives us time to think through a situation rather than reacting straight away and regretting our response. It can certainly help us on our journey to be less angry. Can meditation and mindfulness teach me how to stop anger in my child? Sometimes children get angry due to frustration and an inability to communicate or they may feel that they are not being listened to. A child as young as a toddler can be taught some breathing techniques to help them calm down during a tantrum. Mindfulness techniques can also be useful to help teenagers learn how to be less angry during stressful situations at home and school. How does an angry parent affect a child? Being constantly shouted at can shatter a child’s self-esteem and confidence and can leave a child feeling anxious and worried. Learning how to stop being an angry parent is crucial to your child’s long-term mental health. What can I do if I’ve lost my temper with my child? The first thing to do if you’ve shouted at your child is to apologise for your parent anger. This lets them know that you are sorry for yelling and that you could have handled the situation better. Explain to them that you’ll try not to react that way next time and that you want to set a good example. Parenting a toddler is hard, are there any tips on anger management for parents of toddlers? Parenting a toddler can be one of the hardest things you can ever experience, I found it an incredibly frustrating and difficult time. firstly try to make sure you have plenty of parental support from family and friends so you don’t get so overwhelmed. Try to remember that your child is not deliberately pushing your buttons! Take some deep breaths and remember that they haven’t got the skills to cope with their situation and you need to help them through it no matter how difficult they are being. I found that if I gave myself twice as long as I needed to get ready to go out with my child I remained a lot calmer when they refused to budge! so for instance, if you think it will take an hour to get your child dressed and ready for preschool, schedule two hours to account for all the ups and downs along the way! 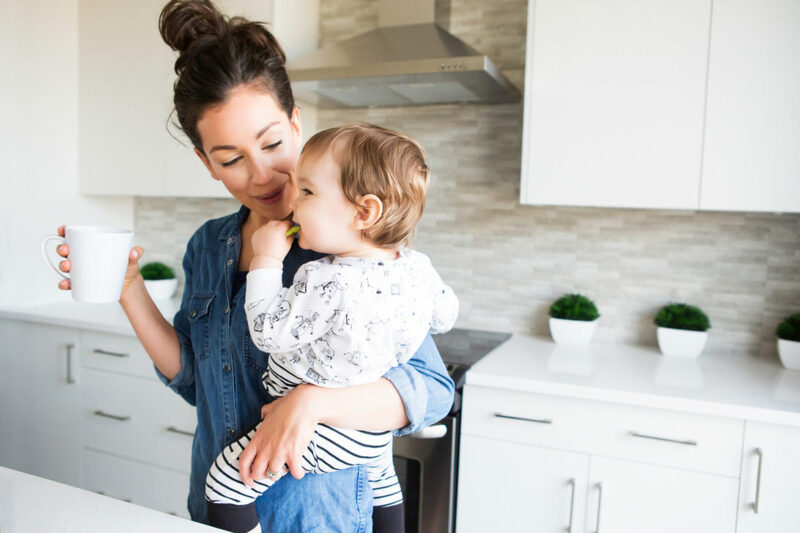 This can help you practice being a calm parent instead of the angry parent you can turn into when you’re faced with an uncooperative toddler! If you have an angry preschooler and are at a loss as to how to help them through the hitting and biting stage, read how changing the way we reacted to our child made all the difference to my son’s aggressive behaviour, and how we helped him become calmer and happier, just click the button below! Often anger can be made worse when we feel overwhelmed and tired. It can be difficult to take care of ourselves due to lack of time and money. I have created an amazing self-care sheet specifically aimed at busy parents who are both short of time and money. The self-care checklist starts with five minute self-care suggestions and also self-care suggestions for when you have up to an hour to spend. Most of them you can practice at home spending little or no money at all. If you’d like to read my self-care post and download my free self-care checklist click on the button below! To read more about meditation for busy parents and how this helps with calm parenting hit the button! Subscribe to our updates and unlock the code to our amazing free resources library! Just leave your Email address by clicking the subscribe button below! What do you do stop yourself from being an angry parent? Contact us below in the comments! Jennifer created her blog Help Mama Meditate to help others find balance and harmony in their lives, as she herself learns how to practice mindfulness as a mom of two young daughters. She is currently enrolled in the Unified Mindfulness Foundations program to enhance her mindfulness and meditation coaching skills and resources. Jennifer provides meditation and mindfulness advice through her blog Help Mama Meditate. She leads weekly guided meditations via Facebook Live. Feedspot.com recently named Help Mama Meditate a top 40 meditation blog. Jennifer was also interviewed on the Moms Who Know podcast regarding motherhood and meditation. A writer at heart, Jennifer also contributes to The Tattooed Buddha and Sivana. A rehab speech pathologist by background, Jennifer began meditating during the stressful times of graduate school ten years ago. Jennifer lives in Chicago with her husband, two daughters, and King Charles Cavalier Spaniel.